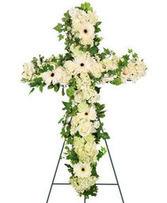 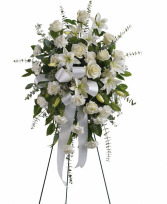 Uplifting white roses, lilies, carnations, eucalyptus and salal with wispy white wax flowers. Wonderful, soothing, elegant. 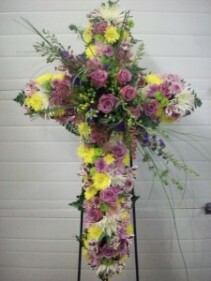 Sympathy spray built on an easel (ours are more elaborate / substantial.) 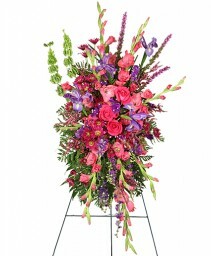 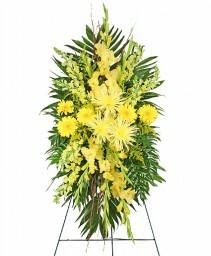 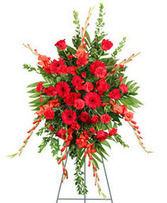 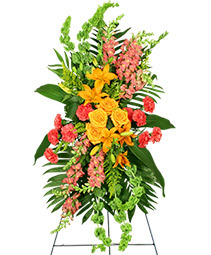 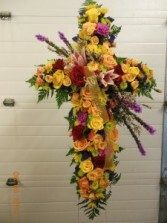 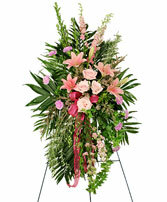 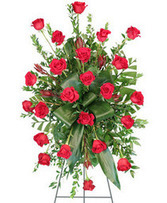 Flowers extend 3 x 2 feet, with total height 6 feet. 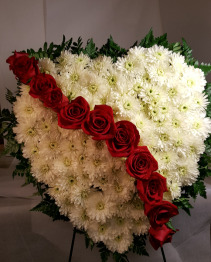 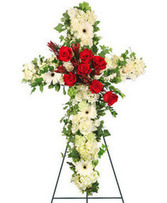 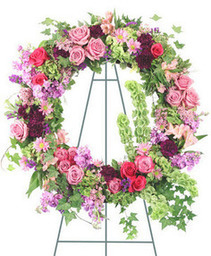 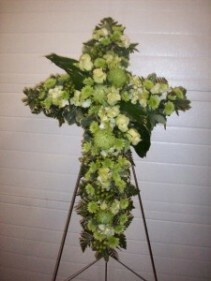 Flower Wreaths can be made with any combination of flowers / colors which determines price. 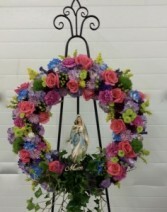 Please call us to discuss your preferences, and discuss option of Mary, or Jesus, or Angel statue, or no statue. Eternal Flame candle in 20" Brass Top Lantern, Message on Glass: "We are Blessed with His Light And His Love" The 49.95 price is 15" Lantern. 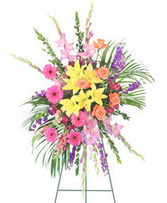 Other phrases available. 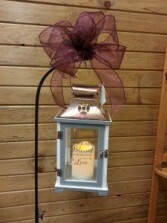 Add Wrought Iron Stand / Bow for 19.95. 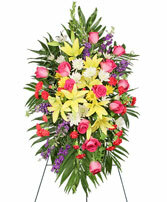 Fresh Flowers can be arranged atop for $30 additional. Please call to choose options. 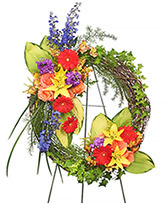 Fresh floral display on wreath of woven branches, as we find the woven branch wreaths more full and attractive. 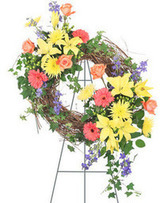 (we do not use grapevine wreath as pictured.) 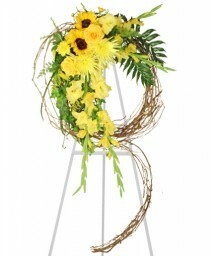 At times when Sunflowers are not at their best season, we love the beautiful and similar look of large lush Gerbera Daisies. Please feel free to request an alternate color or list of mixed preferred colors when you order, this can be typed in the "Additional Comments" box when you reach the check-out screen. 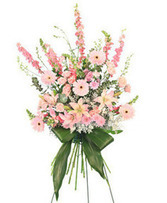 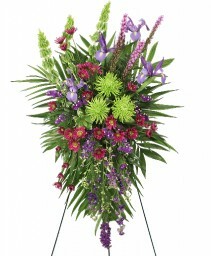 We will use the freshest and most attractive flowers available to fill every order.